With four titles having released over a decade ago, fans around the globe had almost lost hope for another main entry into the series, yet seemingly against all odds, Devil May Cry has made an incredible comeback and here's why. Having first released in 2001 for the PS2, Devil May Cry has been around for a long time now. It's a series as iconic as they come and for good reason - it's one of the most thrilling, stylish and over the top franchises the gaming industry has to offer. 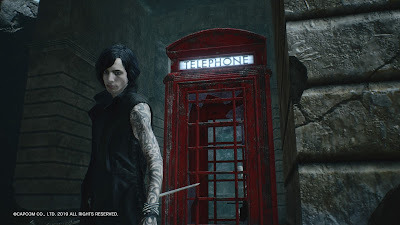 When I first watched DMC5's announcement trailer during E3, I was concerned not just with how Dante would play, but also with Nero's new haircut (yea, let's not go into the whole backlash of Ninja Theory's DmC again), the Devil Trigger theme song and how much I hated Nico. In fact, Nero's new appearance was such a departure from what we knew, that it wasn't until he revved his Red Queen sword that I had the confirmation I needed to fully accept and realise it was him. I definitely preferred his original appearance, but a lot of time has passed since then (in reality and in the world of DMC) and though he still has some personal issues to get through, he's still the same character we came to know and love, only now a little older and slightly more mature than his previous self. As for his new look? It grew on me. As an incredibly passionate mega fan of the series, I was cautiously optimistic for Devil May Cry's return. After all, the original is my favourite game of all time and considering we haven't had a new title for over a decade, I wanted DMC5 to be the best it could possibly be and without the risk of disappointment. So, what is it exactly that makes DMC5 so great? Playing the harder difficulties? Hell awaits. For starters, there are no repeated bosses. That's right, one of the main issues that made DMC4 a bit of a slog has been removed entirely. Instead, we get an absurd amount of bosses and three playable characters - Dante, Nero and the somewhat mysterious V. Each of these three characters have their own unique playstyles and having been built upon Capcom's RE7 engine, Devil May Cry has never looked so good. 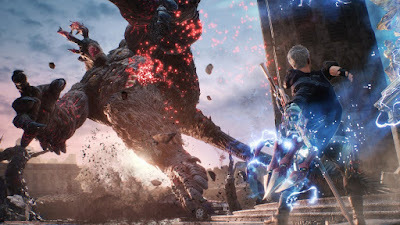 That said, Nero is once again the main protagonist, only now he's missing his Devil Bringer (having had his arm ripped off) and with thanks to Nico, now makes use of the new Devil Breakers - a number of different mechanical arms that can be utilised in many different ways, boasting some truly impressive damage and combat manoeuvrability. 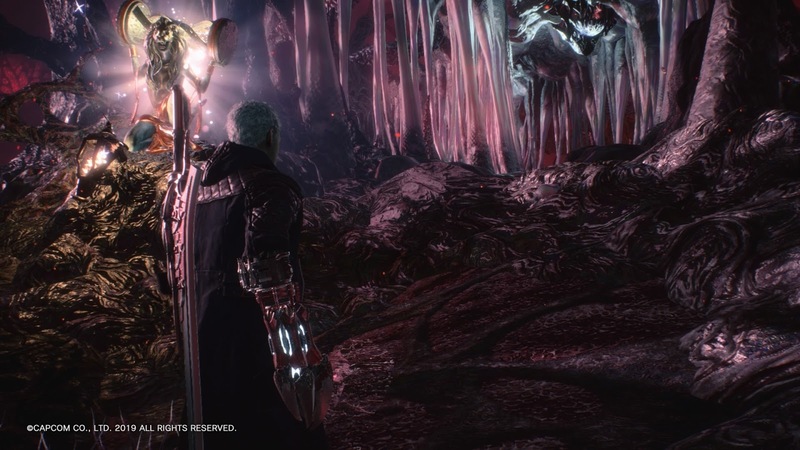 Take Punchline for example; Not only is it my favourite Devil Breaker, but it turns into a super stylish rocket arm for Nero to ride and slam into his enemies. Alternatively, charge up the attack in mid-air or on the ground for an overpowering downward slam or uppercut respectively. This sucker hits so hard it'll send bosses flying. In addition to this, you have Gerbera - a Devil Breaker that uses force and lasers to bounce you around in mid-air as you rain down ricocheting projectiles of pure energy. This is incredibly good for clearing rooms and tight spaces and if you do it on the ground, you'll have slight control over a much bigger constant stream of energy. Not only is Gerbera an excellent tool for achieving those hard to reach SSS ranks, for aerial combat it's a must. Excluding the Deluxe Edition Devil Breakers, there are 8 in total, each with their own unique abilities to play with and master. Ragtime allows you to stop time, Helter Skelter gives you the power to forcibly drill your way through your enemies, Overture plants bombs that can auto-detonate after a set time or be fired upon with Nero's Blue Rose Revolver (prematurely detonating them), while Rawhide is whip-like and razor sharp. Still, what would Nero be without his Buster Arm? If used correctly, the Buster Breaker is arguably Nero's most powerful tool in the game. When enemies are stunned you can use the Breaker without breaking it, but charge it up to intentionally use its breakage grapple attack and it'll do absolutely insane damage. Some enemies don't need to even be stunned to use it normally, but against bosses you're going to want to be able to read their animations to know when to maximise your damage output with a well timed Buster breakage. Further adding to the fun is Tomboy - a Devil Breaker that powers up attacks for both your Red Queen and Blue Rose. Admittedly, I found the switch to an over the shoulder view for the Blue Rose to be more problematic than helpful, but the Red Queens' attacks will have you flying around the screen Kingdom Hearts style, dealing a considerable amount of damage with every hit. Even if you can't lock on with it, it's a lot of fun. 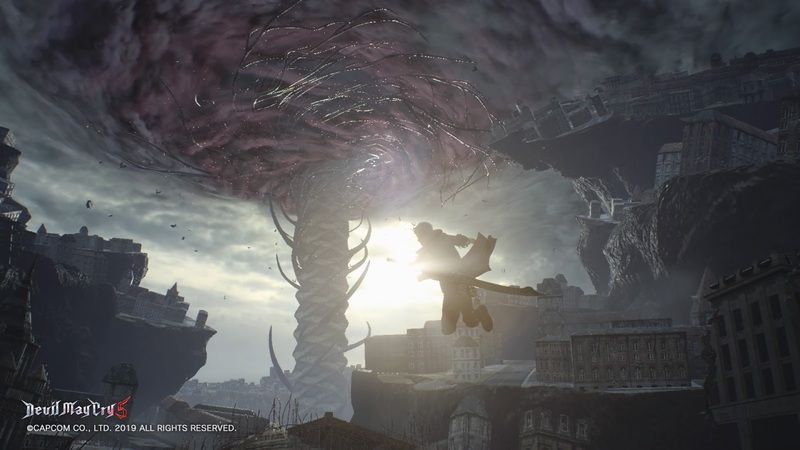 Devil May Cry 5 is truly gorgeous. Nero's Exceed and Max-Act mechanics are still in play following their introduction in DMC4 and are a little easier to pull off this time around. The same can be said for Enemy Step and even Jump Canceling. Adding to this, Nero is the most acrobatic of the three protagonists. Every character can double jump, but Nero can essentially saga jump. Play with him enough and he gets a triple jump, but if you combine that with Calibur and Taunt, he'll rise ever so slightly higher with the prior and lift considerably higher with the latter. It's hard to pull off, but is incredibly satisfying when you do. The Blue Rose has also received a massive upgrade and can be charged for three or so explosive shots, along with the charge of DMC4 and even cooler, these can be stacked for double charged explosive shots. Fully upgraded, the Blue Rose packs quite a punch. V on the other hand is a bit of an odd one. I'm conflicted because although I like him as a character and do find his gameplay to be somewhat fun, it can be really hard to maintain a consistent SSS rank with him, due to the way he plays. I personally find him to be the weakest character and though that makes sense plot-wise, it only really makes him viable for Devil Hunter difficulty runs. Having been playing Son of Sparda (hard difficulty), I ran through an entire mission SSS ranking every combat with him until I came upon the boss, where due to it having time powers and all kinds of other area of effect abilities, I only managed a consistent D rank for the entire fight, costing me an S for the entire mission. Had it been Dante or Nero, this wouldn't have been an issue, but when you're having to move V around as well as having Griffon, Shadow and Nightmare each independently fight for you, it makes things very hard to deal with, especially as many of Griffon and Shadow's moves are charge attacks. Where as Dante and Nero are ultra responsive and have a number of great ways to dodge and parry attacks, V really feels limited and at times pretty clumsy. It's a shame. Be sure to call Nico often for a mid-level re-supply! Still, both Griffon and Shadows moves are exceptionally good at handling enemies and are ripped (and improved upon) directly from the original game. Griffon has the same lightning attacks as when you fight him in DMC1, plus a few additional swoop and blast attacks. Shadow also has the same moves from the original, but has a fair few tricks added to his move list, with only Nightmare feeling like a true departure from his original concept. Nightmare is also the most sluggish of V's Demons, but when he hits, his attacks can be absolutely devastating. Interestingly, Griffon is the only Demon of V's to be able to talk and serves as somewhat of a guide for V, albeit with a wacky personality and equally deranged sense of humour. His presence is highly enjoyable and carries the same kind of appeal as Rocket Raccoon from Guardians of the Galaxy. Up next we have fan favourite and seasoned Devil Hunter, Dante. Armed with Ebony and Ivory, Coyote-A, Rebellion and Balrog from the start, Dante already has a decent amount of combat options available to him and jumping between his four gameplay styles on the fly only adds to this. Still, don't expect to be amazing from the off, because you'll be spending a lot of those precious red orbs on upgrading your characters moves and abilities and boy does Dante have a lot. 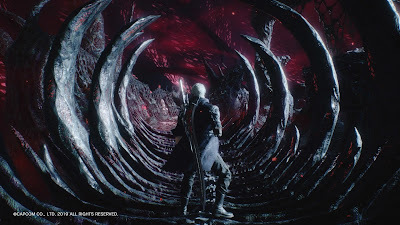 You can upgrade each of Dante's styles multiple times, you can upgrade each of his melee and ranged weapons and then there's the character abilities such as Enemy Step and an even cooler surprise waiting for you later on. The Devil Sword Sparda makes its return, along with a nice set of new weapons to play around with, and if you're lucky enough to find the only hidden weapon in the game, you'll find that Kalina Ann gets a pretty absurd upgrade. 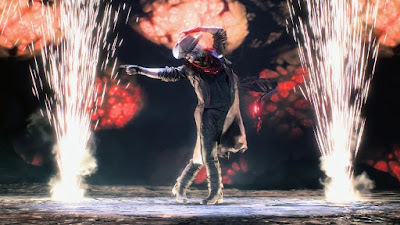 Dante is a ton of fun and I find DMC5 to be a lot more forgiving for newcomers and seasoned players who wish to learn how to utilise Dante's style switching. Top tier players will already be doing this, but switching styles is something I never bothered with in 4, so it doesn't come as second nature to me, and yet I feel the gameplay in 5 encourages you to play around and experiment with it. Style switching may not come naturally at first, but give it time (and practice) and you'll be hitting those SSS ranks in no time. Watch as Nero soars through the sky with a Taunt. 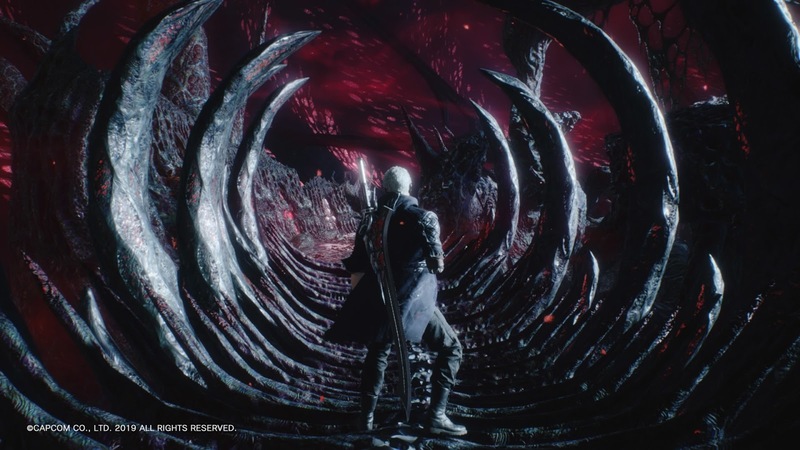 If you watched many of the trailers Capcom released in the run up to DMC5's release, you'd have seen there's a new Cerberus weapon and I can tell you now - Outside of Dante's main sword (as I'm avoiding spoilers, we'll stick to calling it Rebellion), it's one of the most enjoyable weapons in Dante's arsenal. Saying that, I found Balrog to be my absolute favourite and arguably the most satisfying weapon in the game. Plus, perhaps as some kind of nod to Agni and Rudra from DMC3, it actually talks - it's incredible. I just wish we'd have been able to fight Balrog ourselves. As for the motorbike (Cavaliere)? It's actually my least favourite weapon and the only one I completely removed from my customisable weapon-switching bar, having been far too slow for my liking. As ironic as that may be, I did the same for the Dr.Faust hat, but mainly because I didn't have the red orbs required to risk using it - each of its moves are costly and though you can gain a huge amount of red orbs back, it's really for the later playthroughs. Still, I'd love to see some legacy weapons make a return in future updates or DLC - Nevan plus Agni and Rudra especially. As for bettering yourself with your current arsenal? Enter The Void. The Void is your training ground for thinking up and acting out any and every combo you can think of. You can set the enemies to attack, helping to learn their attack patterns and visual/audio cues, or simply set them as stationary targets to abuse them with each of your unique moves and abilities. This is also a great place to learn how to Jump Cancel, which to those of you unfamiliar with the term, is the ability to cancel out attack animations early to repeatedly attack in quick succession, dealing even more damage than you normally could. Combining this with Enemy Step is essential in staying airborne indefinitely, as it resets your ability to jump. Another handy feature of Devil May Cry 5 is that this time around, Blue Orbs and Blue Orb Fragments you find will be carried across all three characters, meaning you only ever have to maximise your healthbar once for all three characters to benefit from it. It's a better approach and much less of a grind. If you're having trouble achieving those SSS ranks, be sure to check out DevilNeverCry's YouTube channel below, as he creates a number of helpful tips, tutorials and breakdown videos, guaranteed to help players across the globe in their mission to protect humanity from the deadly, Demon scum. The story for Devil May Cry 5 is fairly fun, but for me it wasn't groundbreaking. The acting is the best the series has to offer, and though that much is true, it just didn't have the same emotional impact as 3 did for me. DMC1 is my all time favourite, primarily for its darker and truly Gothic tone. DMC3 is my favourite from a story perspective and then DMC5 is my favourite on the gameplay front. Honestly, DMC5's combat is the most fun you can have in a DMC game, period. 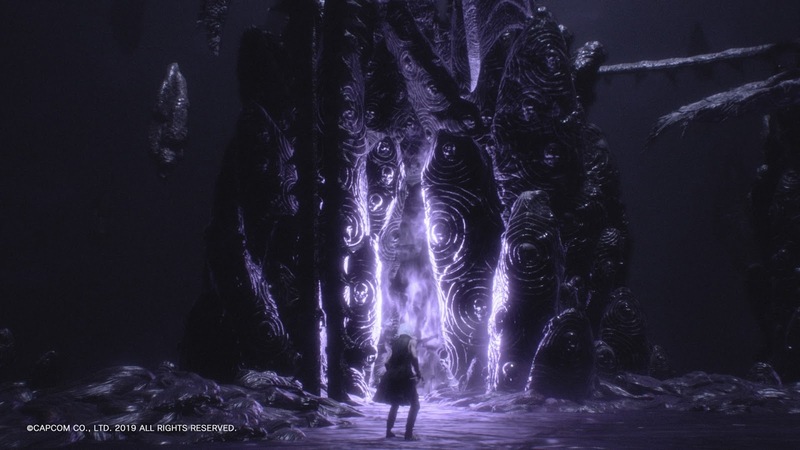 DMC5's plot reveals and resolves how Nero lost his arm, uncovers the true mystery behind V and has many twists, turns and revelations, not just for Dante, but for every character in the game. Some are expected, some really aren't and then there's the new information we're given which only serves to add to what we already knew. 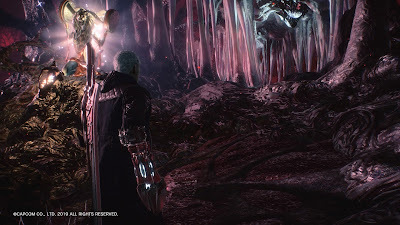 We learn a little more about the Sparda bloodline, Dante and Vergil's mother Eva, and though I found the realisations of Nero and V's character twists to be somewhat predictable, there's enough variation to keep you surprised. This is also likely due to the way the missions are laid out. The prologue mission throws you into the story at about the midway point, jumping back to what happened previously in later missions, but is told well enough that you don't end up confused by the back and forth nature of it all. It's worth experiencing for yourself and some of the fanbase already see it as having the best story yet. For me though, it unfortunately didn't hit that high note, but of course it's still a better story than Twilight (...or DMC4). 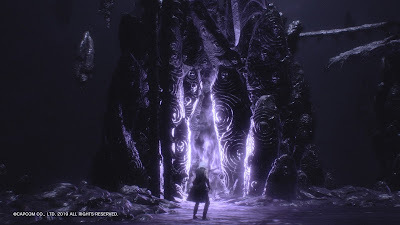 Ultimately, I may still prefer the story in DMC3: Dante's Awakening, but DMC5 is essential to the overall series plot and is a story I feel every fan should experience. V about to step into the unknown. At certain points of the game, you'll be given the choice of who you'd like to continue on with, and though it's highly unlikely you'll be able to play with friends (even with friend priority switched to on), the cameo system can be kind of fun. That is, when it works and you can actually see the other players you're fighting with. So what is the Cameo system? 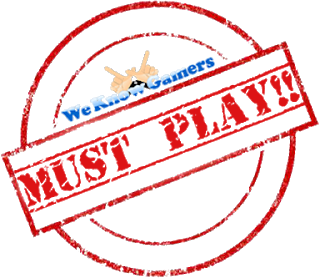 Put simply, it allows other players to drop in and drop out of your game while still retaining the single player experience. This means when you're teaming up with other characters, a lot of the time V, Dante or Nero will actually be another player. You can also rate them on how stylish they were playing, though this is something I rarely bothered with as there's only two levels in particular that stand out to me where you can easily see the other players. That aside, Bloody Palace has just released today and though I haven't yet had the chance to try it, it'd be absolutely amazing to run through it with a friend. There are 20 missions in total, many of which will take you around an hour to finish, so the game should last you around 15-18 hours on your first run, depending on how much you explore your surroundings, which is worth doing as Gold Orbs are going to help you a lot for the harder difficulty runs. There are also 12 Secret Missions to find, unlock and complete. As for the music? Well, no longer are you subjected to the constant droning of Shall Never Surrender (it wasn't that bad, just overplayed), as it's instead replaced by Devil Trigger. To Capcom's credit, they actually included remixed versions of the theme song this time around, preventing Devil Trigger from becoming yet another repetitive track. Playing at the more pivotal points of the story, the remixes add greater impact to events in the moment, but as good as each track is at providing a suitably enjoyable beat to fight along to, the entire OST suffers from being forgettable. To date, with tracks like Nevan, Divine Hate and Devils Never Cry, DMC3 still has the best OST of the series, even if I could quite happily sit at the DMC5 menu for hours, as the menu music really is catchy. That said, Capcom were good enough to send over the Deluxe Edition of DMC5, and with it came new Devil Breakers, an alternate Dante themed skin for Cavaliere, Live Action Cutscenes and a soundtrack swap, consisting of cherry picked tracks from each of the previously released, numbered Devil May Cry titles. Live Action Cutscenes? Yea, I thought the same, cringing at the idea of it all, only I needn't have worried because it's not like the scenes have been acted out like a movie. Instead, we're shown the behind the scenes action sequences of how Capcom made and choreographed a number of encounters/scenarios and though this option states it isn't available for every section of the game, every level I tried had something to watch. It's a nice touch. Be sure to check out all of the dancing Dante memes on Twitter. Playing about with the soundtrack swap, I discovered you can set any of the tracks to play for any of the characters and though this does make following playthroughs more fun, I was a little disappointed with the fact one of these tracks didn't play during a very specific fight. This was how I discovered the soundtrack swap only seems to really be viable for standard enemy encounters and not boss fights. Still, if you didn't get enough of it in DMC4, Shall Never Surrender is there in all its glory for you to listen to your hearts content. I also found Nero's Deluxe Devil Breakers to be a little underwhelming also, having only used Sweet Surrender once (picking one up in a level to test it out), completely ignoring the Pasta Breaker and only really using the Megaman Blaster Breaker for novelty. To be fair to it, the Blaster is a fun nod to Megaman, but a fairly useless weapon. Still, it made me laugh watching Nero jump like Megaman, as it comes with its own animation. Overall, Devil May Cry 5 is rammed with content and an absolute blast to play. The difficulty curve is fair, The Void provides you with enough help and guidance to turn even the most casual Demon killers into seasoned Devil Hunters, and once you've finished your first run, you can go back and kill everything again for some seriously satisfying Deathcam stills. There are a ton of nods to previous games, characters, events and even to the Manga and Animé - DMCV is absolutely riddled with fan service. Is it the best the series has to offer? That's for you to decide, but with excellent replay value and the best combat to date, there's absolutely hours of fun to be had, making Devil May Cry 5 a worthy edition to an already legendary series. Devil May Cry 5 is out now on PC, PS4 and Xbox One.